Romantic getaway package includes two nights in a romantic room with a fireplace, fresh flowers and a queen-sized canopy bed with eyelet lace linens, chilled champagne, and full breakfast each morning, in bed, if you like. Two people, two nights, too good to pass up! $379.00. Not valid some weekends. Just the two of you want to slip away and get married. With a few day’s notice, we’ll welcome you for the weekend and take care of all the details. Two romantic nights in a deluxe room with fireplace, dinner for two, full breakfast, champagne, flowers, wedding ceremony inside or out, and hep with all the paperwork including a Vermont marriage license. Why deal with the hassle when it could be a piece of cake! Bring a few friends and we’ll give them 10% off regular room rates. Surcharge for Christmas and foliage weeks. Complete elopement package $735.00. The two of you take to the skies in a hot air balloon for your marriage ceremony. The package includes two nights in a romantic room with a fireplace, full breakfast each morning, the marriage ceremony with the pilot officiating, champagne and two flutes to keep as a remembrance, and a private dinner back at the Governor’s House in Hyde Park with a wedding cake for two. We can arrange the paperwork for the Vermont marriage license which costs an additional $45 and you’ll be Up, Up and Away forever with very special memories. Complete package $1,275.00. Or opt for an exclusive balloon ride with just the two of you and up to six guests for $2,750 plus $225 per guest. Surcharge for certain dates. Want to show him you’d do it all over again? You can when we welcome you for the weekend and take care of all the arrangements as you renew your marriage vows. Two romantic nights in a deluxe room with fireplace. Full breakfast each morning, in bed if you like. Vow renewal ceremony with a justice of the peace inside the inn or outside with the Vermont mountains for a backdrop. One private candle-lit dinner for two. Champagne. Flowers. Certificate of vow renewal. Bring along the family or some friends and we’ll give them 10% off regular room rates. 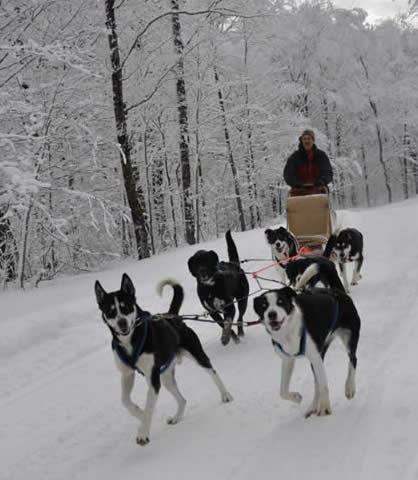 Add extra nights or one of many Vermont activities like a carriage or sleigh ride. Why should the newlyweds have all the fun! $685.00. Surcharge for Christmas and foliage weeks. Add-on photo package. Make the most of your vacation time as an adventurous professional photographer helps you take fabulous pictures while you explore the most interesting and photogenic places in Lamoille County for an hour or for a day, including the Governor’s House in Hyde Park. 5% discount on rooms on stays of two or more nights ($95-$265) including full breakfast. Photographer starts at $85. By tradition, the bottle of champagne goes to the farmer in whose field your balloon has just landed, but it’s more likely that you’ll celebrate your flight by drinking the champagne yourselves. The package includes two romantic nights in a deluxe room with a fireplace, a hot-air balloon ride across Vermont’s scenic landscape at sunrise, a private breakfast afterward at the Governor’s House, and two souvenir champagne flutes. The package price includes a 10% discount on both the balloon ride and your room rate. $799.00. Now that’s something to dream about! Make your special birthday even more special. Or plan the ultimate surprise party! Celebrate 40, 60, 75 or any birthday at all with us for a private dinner, birthday cake, and a small Vermont gift to take home as well as 10% off any room. Whether you’re sneaking off by yourself, bringing along some friends or surprising the guest of honor, we will make it a birthday to remember. For one to twelve guests. Some restrictions apply. Fall foliage season in Vermont with its spectacular scenery is perfect for a drive in the country. 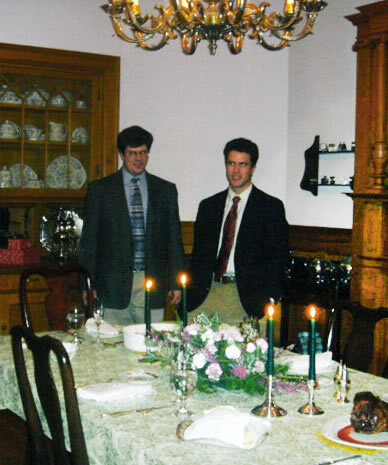 Stay at least two mid-week nights at the Governor’s House and we’ll help you plan your scenic driving route in Vermont or throughout New England, check the latest update on where the color is best, and pack you a delicious picnic lunch to enjoy along the way, all at no additional charge. Your spirits will soar when you experience a glider ride over the panorama of the Vermont hills. If it’s your first time in a sailplane, you’ll be surprised by the serenity as you quietly move with the wind. And if you like, your experienced pilot may let you try taking the controls. The package includes two nights in a deluxe double room, full breakfast each morning, and one thrilling ride for two. But you may find that one ride is not enough! A warm welcome to your room, to a queen-sized bed with lavendar-scented sheets and cozy with down, to relaxing with scented oil in a deep soaking tub or an antique claw-foot tub, to melting away your stress with a relaxing Swedish massage in front of the fire, to a mug of hot chocolate before you fall asleep. After a day of hiking or skiing or shopping, you’ll sleep like a baby in our large country-quiet rooms. Two nights, full breakfast & one massage included. Additional massage $100. You choose relaxing Swedish massage, targeted hand, foot & scalp massage, or deep tissue massage to release chronic muscle tension. One night only on selected Saturday nights $330.00. We are happy to extend a 15% discount to members of the military on active duty. Any room. Any time. Any length of stay. Payez en argent comptant en dollars canadians au pair pour tous les séjours et toutes les chambres. C’est simple comme Bonjour! . L’offre n’est pas disponsible les jours fériés. Stay in any room any day for any length of stay and pay in Canadian cash at par. It’s as simple at that! Some holidays excluded. 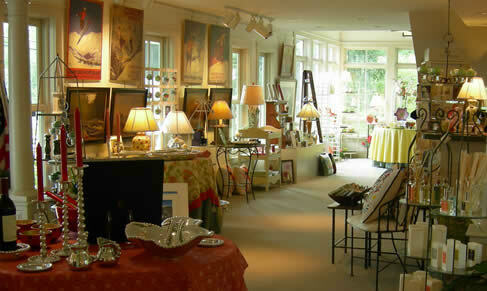 Why just go to the mall when you can go to Vermont for one-of-a-kind shopping bargains? Stay two nights with us Sunday – Thursday and get a gift certificate of your choice worth $20 – $50 each from one of a dozen specialty shops. Stay three nights and get two, stay four nights and get three plus 5% off your room rate, stay five nights and get five gift certificates plus 10% off your room rate. Shop for gifts, home furnishings, antiques, outdoor furniture, clothing, books, maple syrup, hand-blown glass, specialty foods, stitchery kits & supplies, and the best chocolates in New England at these shops and others: Buggy Man Antiques, Haymaker Press, Little River Hot Glass, Sleeper House Gallery, Snowflake Chocolates, Bearpond Books, Mountain Wine & Cheese, The Wooden Needle , Lamoille Woodcrfaft, & Millers Country Outfitters. What could be a better souvenir of Vermont than a beautiful plant, shrub, or tree to take home to your own garden. 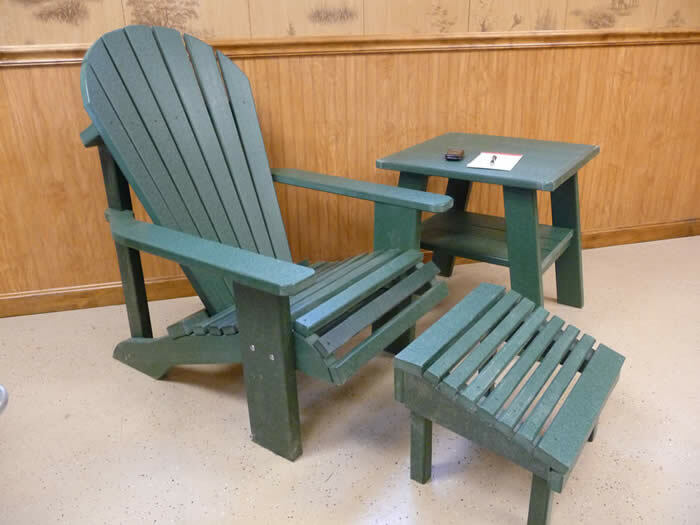 Stay at least two nights this summer and get a gift certificate worth 10% of your regular room rate to spend at near-by Caty’s Falls Nursery. Good on any room June through August only. Visit their website at www.cadysfallsnursery.com.